In part two of my statistical follow-up series, I take a look at a debate discussing if closers are more important to winning or losing teams. While the debate is largely beneficial for fantasy baseball players, it does have some relevance to the actual GMs making decisions. In early April, I wrote an article about some specifics with the closer position. The article was inspired by the trade of Craig Kimbrel on what the correlation was between good teams and the necessity of a good closer. Here we are seven months later and guess what? 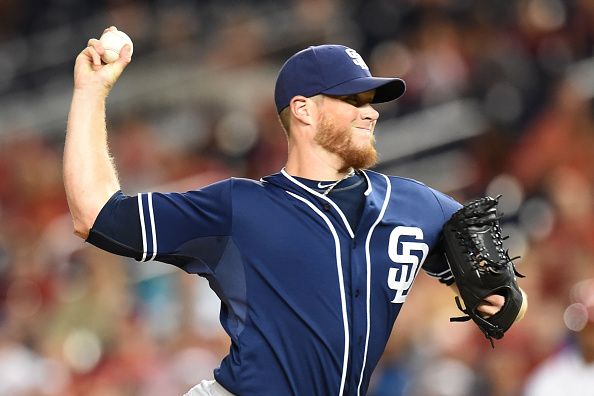 Craig Kimbrel has been traded again. In April, he went from a rebuilding team to a wannabe contender. In November – he has been traded from a team planning a rebuild to a wannabe contender. The summary of my article written in April was to look at whether a winning team allows more opportunities for a closer to thrive. I looked at the situation that if a team is a winning team, do they win by few enough runs to require when closers are most used? You can look back at my April article to see the exact numbers from 2012, 2013 and 2014. But here is how they ended up in 2015. To start off with, saves were up (1292) after normalizing the last three years (1261, 1266, 1264).The correlation between wins and saves is .66653, a fairly strong positive relation. Even upon a simple glance, it’s easy to see that the teams with the most wins ranked on top of the save list. An interesting side note there though; the Blue Jays were ranked 30th in saves and were well-known for having an outlier offensive season. So yes, a winning team will get more saves…unless your team is scoring 10 runs a game. Now let’s look at the correlation between wins and save opportunities. There is a very strong correlation for this in 2015 – 0.7252, a large jump from 2014 but more aligned with 2012 and 2013. In 2015, it can be said that a winning team provides their relievers more save opportunities. That makes sense because one criterion for a save opportunity is that you have to be winning. However, another criterion is the game has to be close. Lastly, let’s take a look at how many one-run games each team were and see if there is a correlation there. For the fourth straight season, the amount of team wins does not correlate much at all (0.2889) although this year was by far the highest correlation. What this does show us again is that even though a team has fewer losses that does not mean their margin of victories are any closer. For yet another year, we can correctly prove that winning teams provide more opportunities for a closer to do what they are being paid to do. The Padres were smart in making the trade last year and the Red Sox are doing the correct thing as well.